It’s Wednesday, which means baking day. But I’m not doing any baking today, because I was so excited to try something new this week, that I’ve already gone through a whole bag of AP flour. That’s okay, though, because we’re stocked for a while and I’ve been having lots of fun! 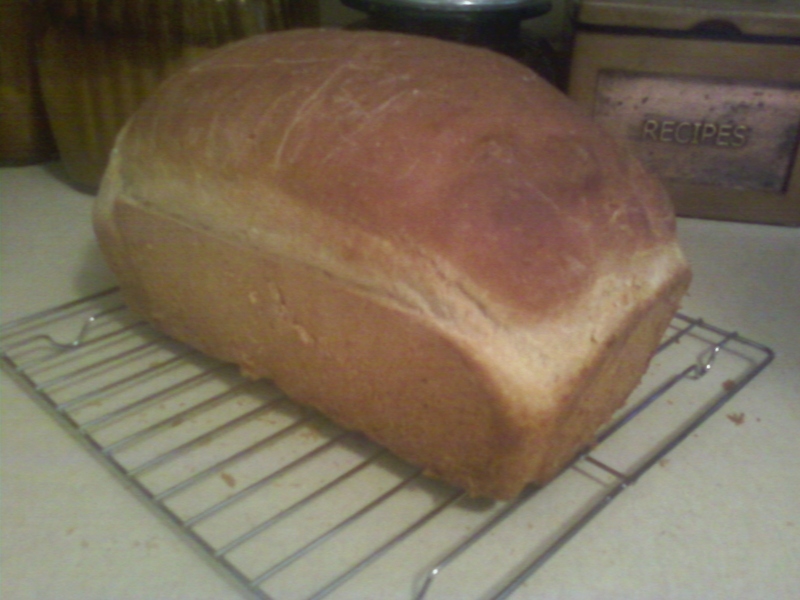 I really do think that bread-making is one of my favorite activities now that I’m a housewife. We haven’t bought bread at the store for over a month now and I’ve been trying out all kinds of different recipes. Well, this week, I decided to put my skills to the test and apply the principles of what I’ve been learning to create my own sandwich bread recipe. 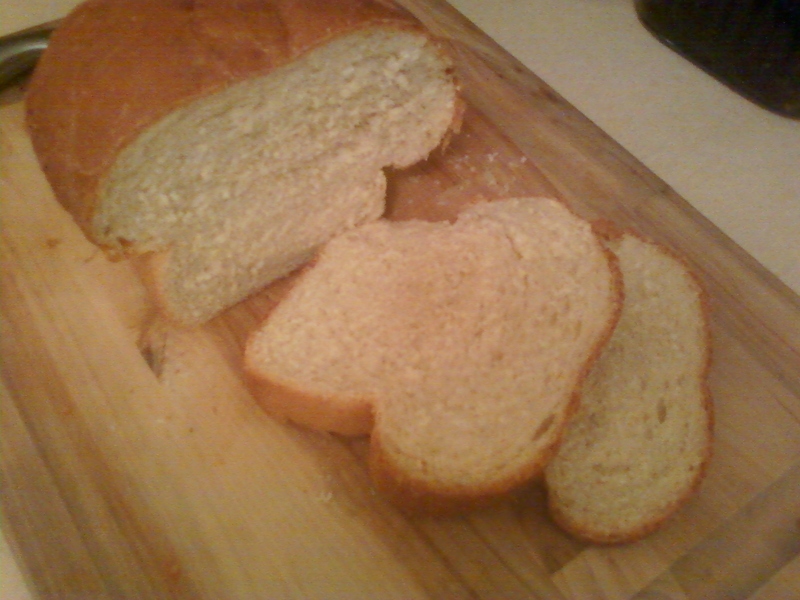 The result, Buttermilk Bread, is pretty fabulous if I can say so. It’s soft and squishy like most of us want sandwich bread to be, but has more flavor than the white loaf I posted last time. I think I might try adding oatmeal next time, or more wheat flour (we were at the bottom of our bag), to get some more nutrition in it, but it’s good just as is — whether slathered with butter or piled high with CSA veggies. 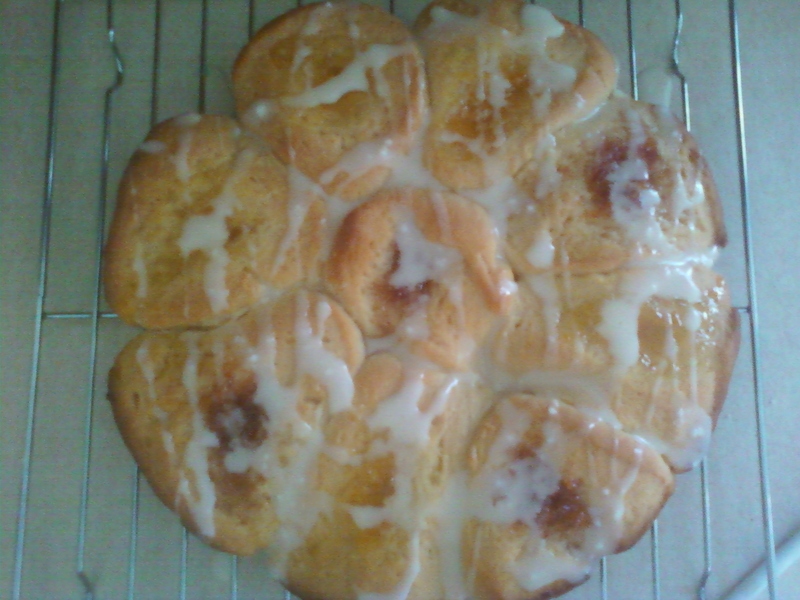 And because Chris and I recently made a commitment to eat breakfast together as a family every day (since we can’t do family dinner), this morning I baked Jelly Gem Rolls. Oh my goodness. This recipe was fabulously easy: make it the night before, refrigerate overnight, then pop it in the oven 30 minutes before breakfast for warm, buttery and soft breakfast rolls. 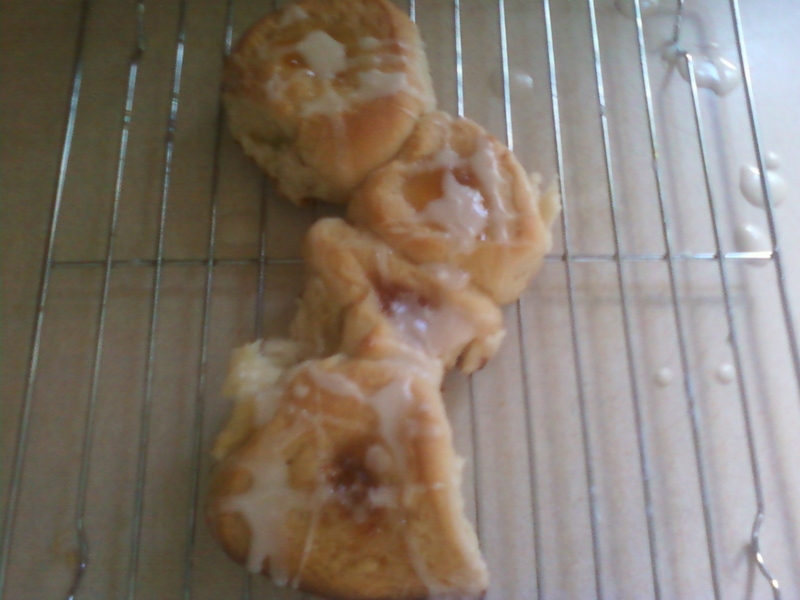 I used some of my homemade cherry and peach jam left from last summer, and with a light glaze drizzled across them, they put store-bought danishes to shame. They’re so good, they’re over half gone already. Don’t worry, we aren’t just eating carbs and sugar – I’ve also been doing some savory baking, too. 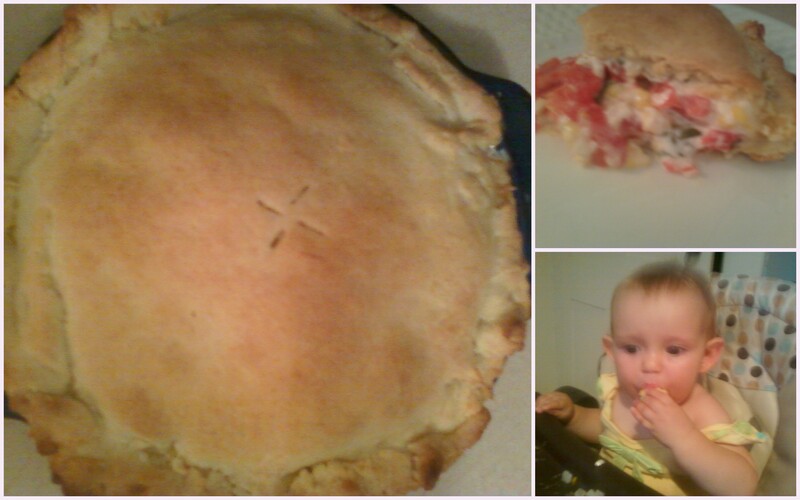 Last night, for Chris’ day off, I made one of our summer favorites: Tomato Pie. 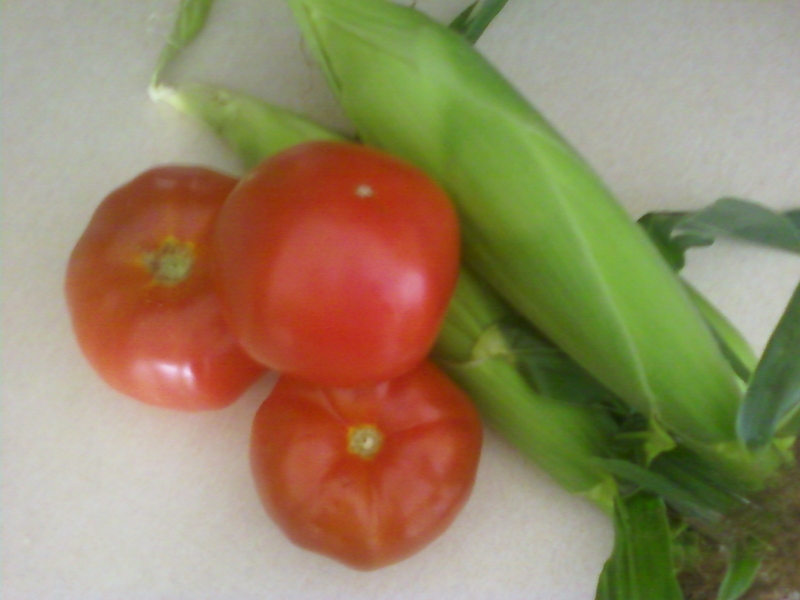 Yes, I caved and bought Bartlett tomatoes and corn; it was so worth it. If you haven’t yet heard me rave about the amazingness of this buttery, biscuit-crusted, fresh veggie and cheese filled miracle that is dinner, then you must have been on another planet when I discovered it last summer on the Smitten Kitchen blog. Because the first time I made it, I was 40 weeks and 5 days pregnant and it was soooo good; good enough to momentarily forget that I was on the baby-birthing-clock. The second time, it was good enough to forget how tired I was with a three week old. Almost like tomato-biscuit-corn-and-cheese-therapy. And now that we’re under much less stressful situations, it’s still delicious. Nora thought so too.